These sisters are both professional makeup artists, and actually teach their own classes. When it comes to recreating a look, they are your girls! They are so incredibly talented, and they have the most fun personalities. They also have ADORABLE kids, which I’m a sucker for, as you know. Lisa is also a professional makeup artist (to the stars). “The list of celebrities she has made-up reads like a who’s who of the world’s most glamorous women including Kate Winslet, Katy Perry, Keira Knightley, Emma Watson, Eva Green, Cameron Diaz, Amanda Seyfried, Kate Moss, Helena Christensen, Cate Blanchet, Demi Moore and Salma Hayek.” So when Lisa says “this is in my pro kit”, I run and buy it! I love her fresh faced, flawless looks, and I think her videos are especially great for women over the age of 30 who are beginning to see signs of aging. Lisa is always aware of fine lines, wrinkles, age spots, etc. and gives amazing tips on how to work with what you’ve got, and fix what you don’t like. Zoe is stunningly beautiful, and watching her is mesmerizing. Her videos are young, lighthearted, and easy. It’s like watching your favorite trash TV show. She gives good beauty reviews, and does a lot of “haul videos”, which I enjoy watching. It’s a nice way of seeing what’s new on the market, and getting a quick review without investing yourself. She’s definitely not who I look to for a tutorial, but more for a laugh, and reviews, and her voice is AMAZING. Chloe started off modelling, and then began making youtube videos. She is very down to earth, and her videos never seem very scripted, or overly edited. She’s kind of like the beautiful girl next door, but with an awesome Australian accent. Chloe is the queen of contouring, and eyebrows. She’s extremely honest with her followers, and gives real advice that never seems biased or purchased by any makeup company. Michelle is like the Queen Bee of the beauty gurus. She recently launched her own cosmetics line called “Em Cosmetics”. I love that she covers such a wide range of topics with her videos, and she is extremely skilled with makeup. Her videos are like mini movies, and I get most excited when I see a new video pop-up from her. She’s incredibly sweet, came from nothing, and built and amazing empire through Youtube. She’s also the brains behind the beauty social networking site and sampling program Ipsy. Her voice is so soothing, and her videos are just so enjoyable. Here’s some more about her…pretty inspirational! Fleur is another youtuber I enjoy for easy, relaxing videos. She used to film a lot of tutorials, but has moved into more haul, tag, and review videos. She has the most adorable dogs, and watching her feels like watching an old friend. Fleur also films “lookbook” style videos which I really enjoy. Ingrids videos are always fun to watch. She has one of the most adorable smiles, and seems like a real girly-girl. I have tried a number of products that she’s recommended and have always loved them, so I am highly trusting of her. She does a lot of outfit videos as well, and has great taste in clothes. She’s the total package. I found Tanya through the Pixiwoo sisters. She is engaged to their little brother Jim, and used to be a model in their makeup tutorials. She’s absolutely gorgeous, and creates really incredible smokey-eye looks. What I love most about Tanya’s tutorials is her mix of high-end, and drugstore products. She’s also a professional makeup artist. If I had to pick a favorite YouTuber, it might just be Estee (her nickname is Essie). There is something so effortlessly chic about this girl, and she’s someone who I always think “I could actually be her friend”. She’s so down to earth, and real, and just so damn cool. She met her boyfriend while living in Canada (he lived in the UK), and after a few months of talking, he flew to Canada, they went on a roadtrip across the US, and a few months later she packed up and moved to the UK to be with him. They travel a lot, and vlog their trips, and they just adopted the cutest new dog named Reggie. Her boyfriend Aslan jumps in her vlogs and tries to be a part of her youtube world….they’re just cute, and I love them! Ok, enough fangirl talk… She posts tutorials, product reviews, and hauls, and her videos are very laid back and she’s also super funny. 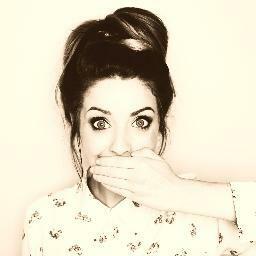 I also really love her vlog channel. My sister started following Tiffany on Instagram a year ago, and told me I’d really like her because she’s a product junkie, fashion obsessed, but even better…a home decor enthusiast! Uhh…Yeah, she’s my long lost soul sister. Sometimes her videos are long and chatty, and she takes awhile to get to the point, but I really trust her opinion and rely on her for reviews, tips and tricks, and beautiful tutorials. She has the most insane eyelashes you will ever see, and for the first few videos of hers that I watched, I swore they were fake. She’s always up to date on the most current, newly released, and “hyped” products, so I look to her first for reviews. I follow so many other YouTubers, but these are just a few of my favorites. Do you follow any youtubers? Who are your favorites?